Die Stone - Lab Depot ltd.
New blend of synthetic resins together with gypsum results in ultra dense models. Increased smoothness and durability. Diamond Die Stone is the ultimate in precision die materials. Utilizing a new gypsum based resin encapsulation technology, Diamond Die produces a silky smooth die with a sheen like finish. In addition to being very dimensionally stable it is extremely hard and user friendly. This material is highly chip and flake resistant. Available in Blue, Ivory, Green, Pink, Grey, Violet, Peach, Yellow, or White. 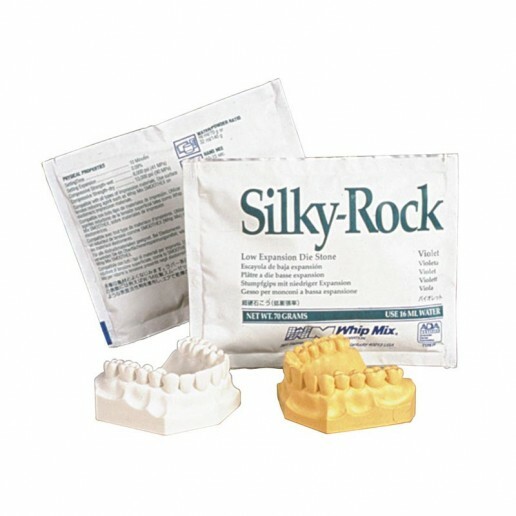 SILKY-ROCK is characterized by exceptional hardness and density throughout, and an unusual “silky-smooth” pouring quality that makes it flow freely into any type of impression. It works well with all types of impression materials. These properties, together with its low setting expansion, make SILKY-ROCK one of the world’s most popular die materials. 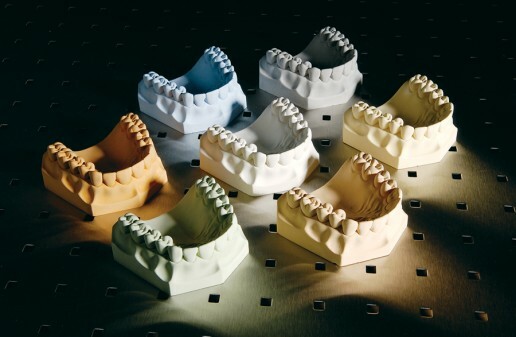 ResinRock, a new, resin fortified die stone produces models of the highest quality. The unique blend of synthetic resin and alpha gypsum results in improved surface smoothness and increased resistance to abrasion. Its low setting expansion and dimensional stability make it ideal for implant and complex restorative cases where precision and accuracy are required. ResinRock is easy to work with – its creamy, thixotropic mix pours easily under vibration and stacks readily. Available in seven colors: peach, blue, grey, ivory, white, green and golden brown. Peach, blue, green and golden brown provide excellent contrast to casting waxes. The neutral tones of grey, ivory and white complement all ceramic materials.